I think we can all agree that having a wedding in Bali is a great idea and something that you’ll cherish forever. But the question here is, where are you going to have your wedding; in a garden or by the beach? Both are sensational but they both come with their pros and cons. – nothing beats the back drop of the ocean for a wedding. Being on the beach with the waves crashing in the back ground is pure wedding bliss. – the beach makes a great location for your wedding photos especially in Bali where the sunsets on the west coast are so gorgeous. Having the wedding ceremony just before sunset is what most people go for to be followed by the MUST HAVE sunset photos as the back drop. – there are many fabulous wedding villas on the beach or on the cliff face that serve as the ultimate place to have your wedding. Everyone loves being at a villa where they can see the ocean or the beach so it makes perfect sense to have your wedding here at any of these sensational beach villas. – There are also lots of villas where you and your guests can stay that are really close to these beach villas which cuts down on travel time and makes everything just so convenient. Beach villa make the perfect honeymoon as well. 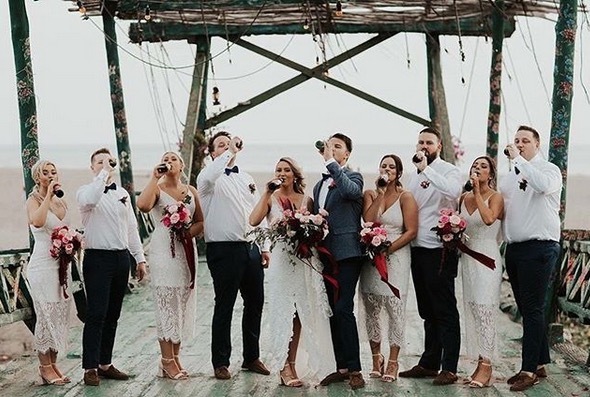 – there’s a very casual ambiance about having a beach wedding. It’s very informal which is what you want. It get’s the guests in the mood to celebrate and enjoy the whole experience. – you have to take all the weather factors into account. Beach weddings, especially in the afternoon can get windy sometimes. Also, if it rains then you have to take everything indoors. Plus there are also tides to consider. Most of the weddings will be by the beach in the safety of your villa confines so this will eliminate most of these weather issues. Tarps & coverings will protect guests. – the Bali sun can get extremely hot and standing by the beach for over an hour can be too much. This is why you need to have the ceremony in the late afternoon when the heat is less intense. – you may not have all the privacy you want as the beach is a public space. While most people walking past will be respectful you need to be aware that it’s not completely private. – in Bali, some beaches will have rules that you need to adhere to as set out by the local Banjar. Your wedding planner will have these sorted for you. But, Bali has many religious ceremonies by the beach so yours should not clash with theirs. 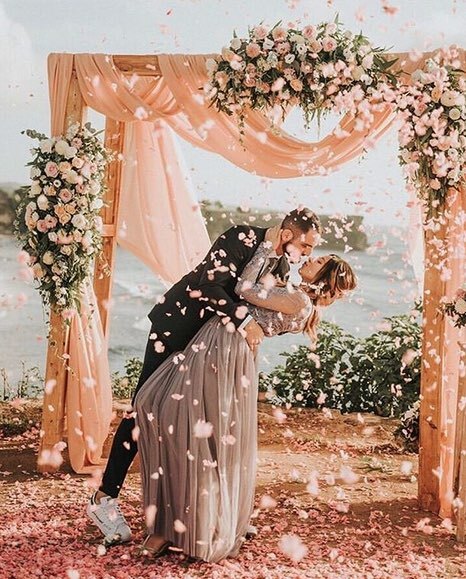 – the flowers can wilt in the hot sun – this is why you need to have a wedding planner that can arrange this quickly so the flowers remain fresh. – all of the gardens in our wedding villas are lush, tropical and extremely well maintained. Those gorgeous tropical Balinese plants and flowers make the ideal wedding setting, especially with our own range of wedding flowers added to the mix. – garden weddings in villas are very private and quiet. Once you and the wedding party are in the villa you are completely blocked off from most outside noise. – if there are any issues with the weather such as rain or wind, the ceremony can be moved inside or under a marquee to block out the elements. – the outdoor setting for a garden make the best photos. With most Balinese gardens your seeing nature at it’s very best! – garden weddings in villas can cater for loads of guests. So if you planning to have more than 30 people then a garden venue is perfect. – once your finished with the ceremony you can easily move onto the festivities as the wedding tables are all there in the garden. Crank up the music, put your dancing shoes on, have a cold glass of champagne, enjoy the speeches all in the privacy of the garden. – guests can either stay in the garden villa for a few days or there are villas nearby our wedding garden villas that are perfect for your Bali honeymoon or holiday. This can all be arranged really easily! – the weather can be an issue especially if it’s pouring rain in the wet season. – moving on from the above point, if the ground is soggy then shoes can get muddy. For those in high heels it can be a disaster. Not to mention those dresses getting dirty. 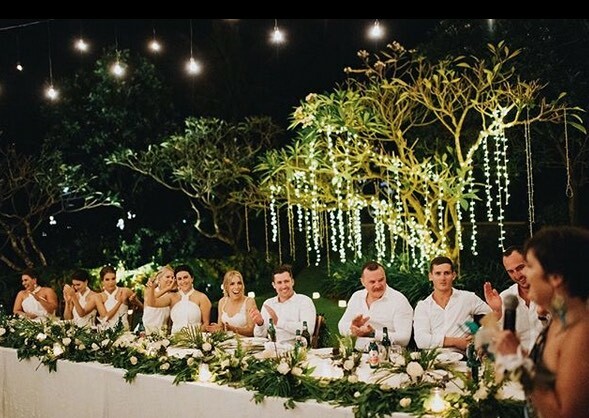 If your wanting to have you wedding in Bali and can’t make up your mind on which to choose; beach or garden, get in touch with us at Your Bali Wedding and well be able to give you constructive answers to all your questions in plain English.